What is Chinese Herbal Medicine (CHM)? Chinese Herbal Medicine (CHM) is a sophisticated medical system that has been practised in China for generations. For centuries the Chinese have been aware of how to enable the body to heal itself and, instead of poisoning it with man-made chemicals and pharmaceuticals, have used natural herbs to nourish and cleanse the body, restoring it to health. Whilst doctors in the West have typically focused on treating diseases, those in the East have studied how to prevent them in the first place, focusing on what makes a person healthy and how to maintain that health. It is only now, after thousands of years, that Chinese Medicine is gaining acceptance in the West. Those who understand it know that it is a real alternative to the drugs, invasive procedures and operations that so many people would rather not have. Western Medicine can often be a one-size-fits-all remedy whereas Chinese Medicine looks at the individual, not just the disease. At the Jade Centre we provide a personalised treatment which begins with an in-depth consultation looking at all aspects of your life and health. By looking, listening and asking, giving you the time you deserve, we can join the dots and get to the root of the problem in order to prescribe herbs specific to you. What is CHM used for? Where do the herbs come from and are they safe? All our herbs are derived from plants and are completely safe to use. We are regulated by the RCHM and source all our herbs from their ‘Approved Suppliers’ list, which is your assurance of quality and safety. Any form of medicine can result in adverse reactions, however in the case of Chinese Herbal Medicine these reactions are rare. How do I prepare and take the herbs? At the Jade Centre we use herbs in two ways, Dried Herbs and Fully Constructed Granules (FCG). Everyone is different so we will discuss the right type for you, as well as how to take them, at your consultation. 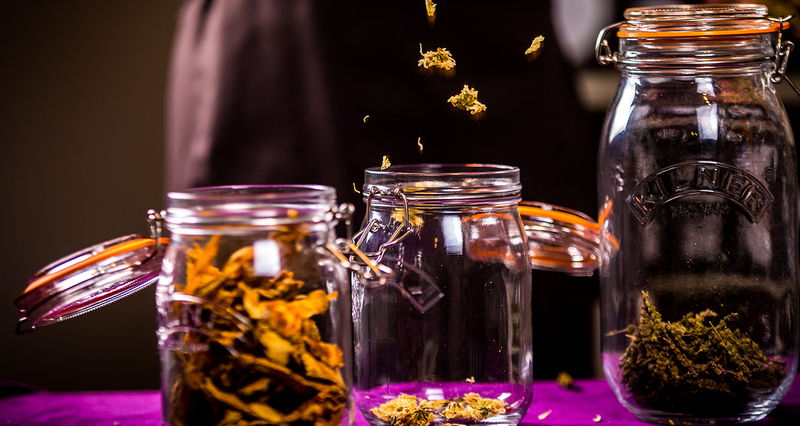 Everyone’s herbs will taste different depending on their prescription. The taste may be completely new to you, or you may be able to detect familiar flavours such as liquorice or ginger, for example, if they are part of the formula. Like anything new it is just a matter of getting used to the taste and reminding yourself – if you don’t happen to like it – that you are nourishing and healing your body. We discourage patients from adding sweeteners etc. to herbs or mixing them with other drinks as this can prevent them from working properly. How long will the treatment last and what will it cost? The length of treatment depends on the condition you have and the severity of it. One to six months is a common timeframe for treatment, although in some cases treatment can be longer or shorter. Each person is unique and your treatment plan will be unique too. At The Jade Centre we will discuss all aspects of the treatment with you, including how long you will need to take them before we can assess the efficacy of the herbs. "After having regular herbal treatment I had so much more energy, my skin was clearer and I felt so much healthier. The acupuncture also helped reduce work-related anxiety that I was struggling to manage."